As I was rummaging around my blog this morning, I came across a chart I had done a while back on Omegas 3, 6, and 9, and their benefits on the hair. It's a semi-oldie but total goodie, so I decided to turn it into a cute infographic to share. 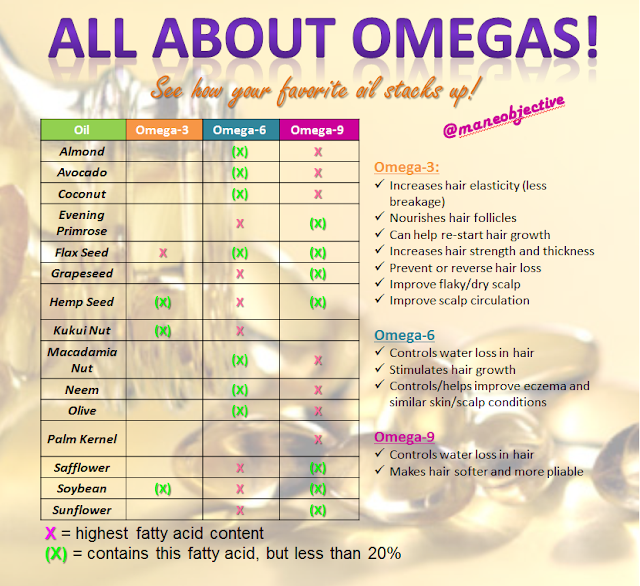 Hopefully, this helps you make some decisions about what oils to use in your hair, based on what you need!